Many people don’t know this about me, but I was in the environmental club in high school. Besides for being a bit of a recycling nut, I can’t say I’m especially proactive about protecting the environment, but I definitely do what I can and welcome any opportunity to do so. I was recently introduced to Fauxgerty, a St. Louis (represent!) based company with a mission “to reduce waste and increase planet + animal love.” Fauxgerty is a company dedicated to creating beautiful vegan leather outerwear that is all made in the USA! The line is designed in St. Louis and produced in NYC and Chicago. As a St. Louis native, I feel especially proud to support Fauxgerty and their “cruelty-free take on suede.” I’m particularly in love with their Swazey moto jacket which comes in a bunch of fun colors. 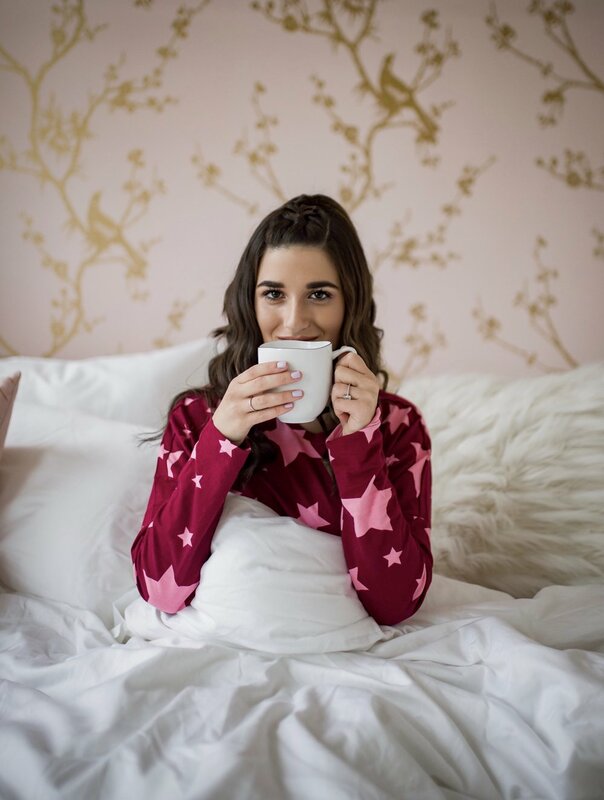 The CARNEY sweatshirt that I’m wearing in these photos is another Fauxgerty original that has become my go-to loungewear piece these winter nights. It’s insanely soft and comfortable and rocks a message we should all hear once in awhile. 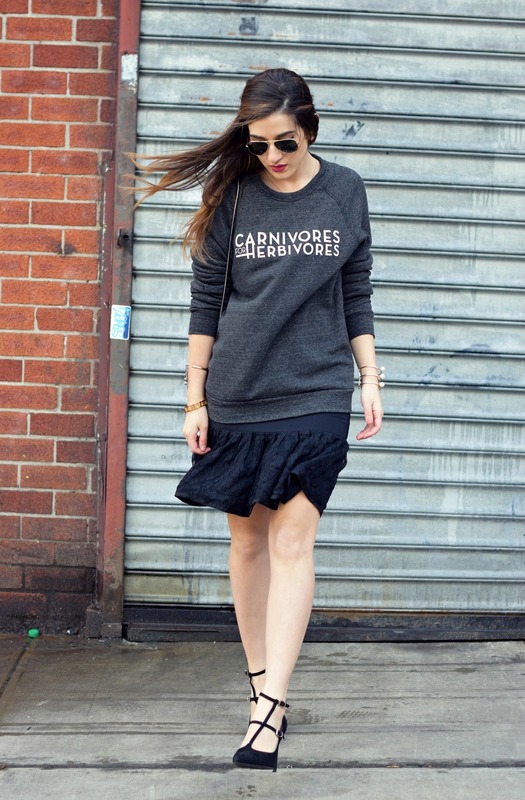 Carnivores For Herbivores. You don’t have to be vegan to be a little more mindful in saving animals and being good to our planet. Support cruelty-free leather production and shop Fauxgerty.